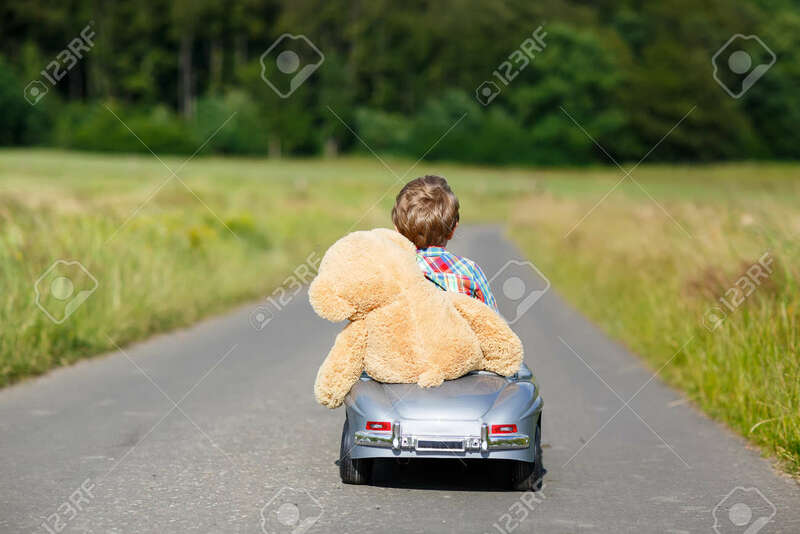 Little Preschool Kid Boy Driving Big Toy Car And Having Fun With Playing With His Plush Toy Bear, Outdoors. Child Enjoying Warm Summer Day In Nature Landscape Royalty Free Fotografie A Reklamní Fotografie. Image 59454941.